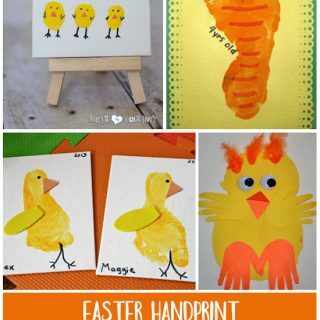 Are your kids fascinated with unicorns? Today we are sharing a U is for unicorn craft in collaboration with an A to Z of animals series. 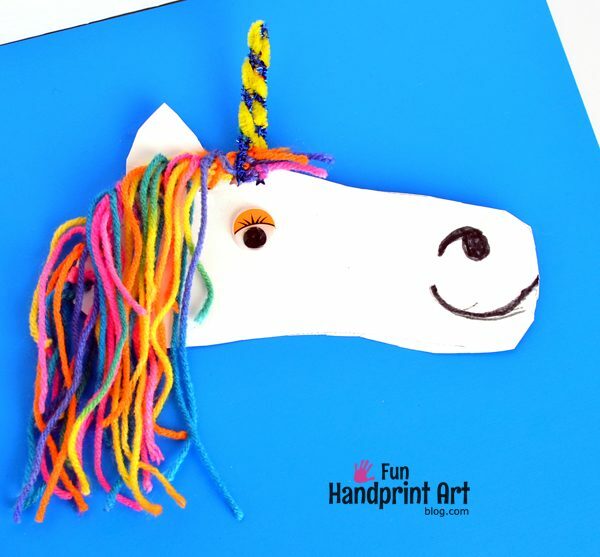 This shoe shaped unicorn craft is a great activity for preschoolers and early elementary aged kids. 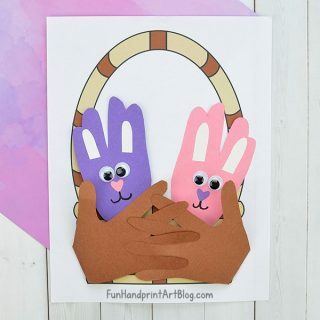 It helps work on prewriting skills, fine motor and hand strengthening, with the use of a hole punch and by threading yarn. Kids also can practice tying knots which is get for kids learning how to tie their shoe. Start by having the child trace around their shoe. Little Sister used her flip flop since it was easier for her to see what she was doing. Cut around the outline. With the leftover cardstock, make an ear shape and cut it out as well. Add a googly eye. Use a marker to draw on a nostril and mouth. 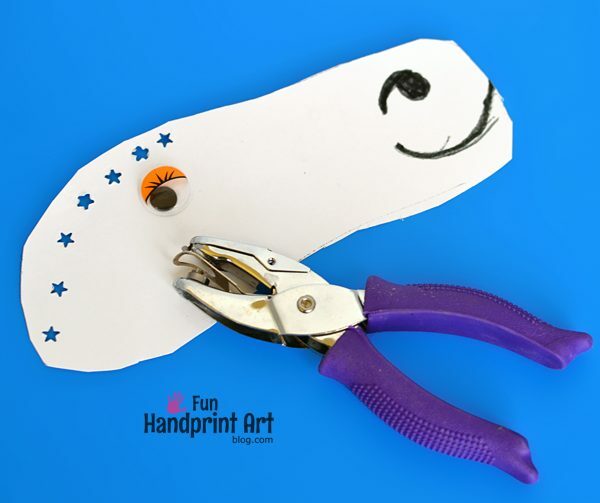 Have your little one use a hole puncher along the cutout shoe where the unicorn’s hair is. To make the hair, cut strips of yarn. The multi-colored yarn is perfect for this. Little Sister practiced tying knots by threading the cut strips of yarn through the holes and making a double knot. Each hole has about 3 strings total (6 strands hanging down once tied). I took over when she grew bored on making knots. She loves to do hair cutting crafts so we gave the unicorn’s hair a little trim. All that’s left now is to make the horn. Twist 2 pipe cleaners together. Bend the twisted piece in half. Thread one end through a hole and twist together with the other end. 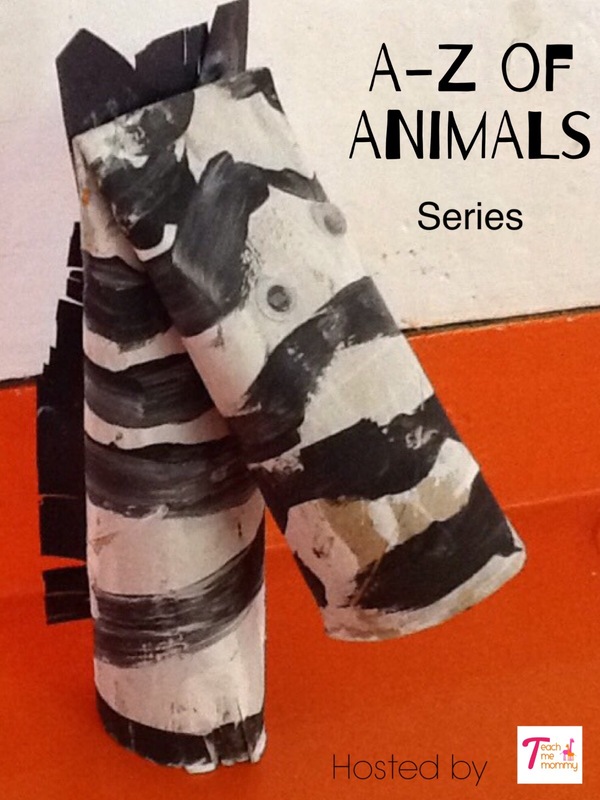 See the whole A–Z of Animals Series for more fun animal craft ideas! 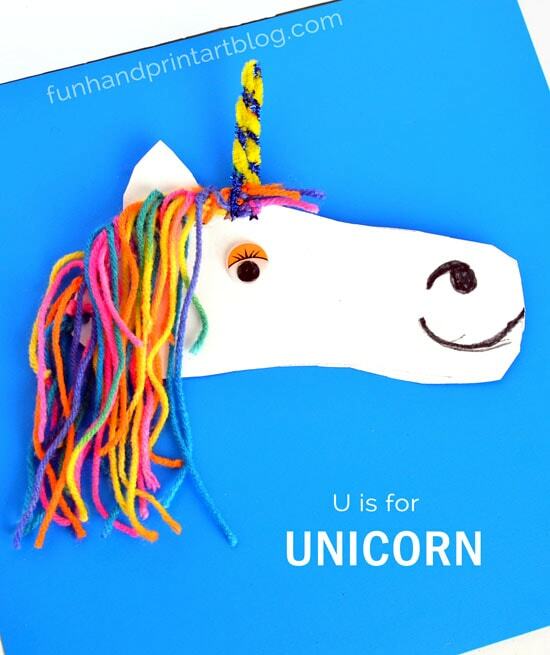 For more U is for Unicorn craft ideas like this shoe shaped unicorn, check out this Goldilicious handprint craft and this footprint unicorn (one of my all-time faves! ).